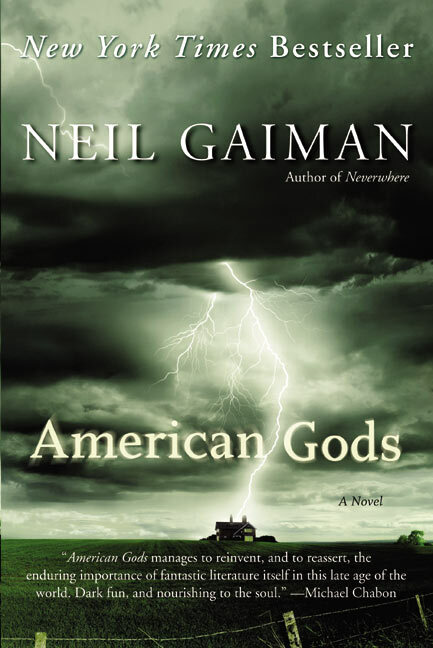 In April we reported that Neil Gaiman’s American Gods was being pitched to HBO by Tom Hanks’ production company, Playtone Productions. Well, it has happened! This news has me really excited. Today The Hollywood Reporter posted that Playtone is set to produce not one, but SIX seasons for HBO. The series-in-development, revolving around the question “are you a god if no one believes in you?” is executive produced by Goetzman and Hanks, with Bob Richardson, and Gaiman on board as executive producer and writer. Each of the six seasons will be of 10-12, hour-long episodes with a budget of around $35-40 million per season, targeted to debut on the cable powerhouse in 2013 at the earliest. More effects than have ever been done? That sort of boggles my mind, considering the amazing CGI things that are out right now. Granted, two years is a long time, in computer terms, so I can’t wait to see how things progress, and if they can live up to that claim. The reason the show isn’t set to air until 2013 is that Hanks has to finish up another project for HBO, Major Matt Mason, based on the Mattel action-figure. Having read American Gods not that long ago (you can see the Lytherus review here), the book is still fresh enough in my mind to be excited about this. I’m curious to see how they’ll make six seasons, whether they will try to milk the book, or if they will go off on new tangents and/or continue the story beyond where the book ends. Either way, I’m happy for Neil Gaiman, especially since he’ll be a part of the project, which means we should get his approval on the scripts. What do you think? Do you think HBO will do Gaiman’s book justice? Previous postBeautiful Creatures Fans, Third Book Prequel to be Published in August!